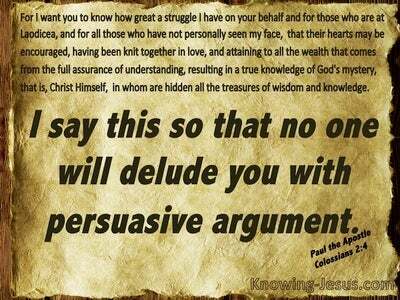 What Does 1 Kings 8:9 Mean? 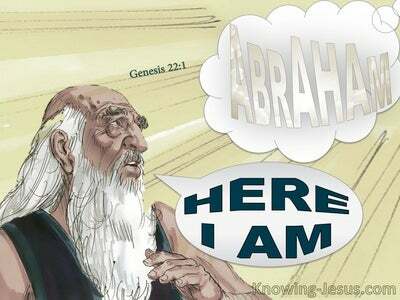 There was nothing in the ark except the two tablets of stone which Moses put there at Horeb, where the LORD made a covenant with the sons of Israel, when they came out of the land of Egypt. After the death of David, his son Solomon took the throne of Israel. Solomon was the man whom God permitted to build Him a Temple, and in the early chapters of First Kings, we read of its construction. We hear how timber, from the cedars of Lebanon, was shipped from Tyre, and discover that great block of stone were prepared in the quarries of Israel. The exquisite craftsmanship of the gold furnishings in the Temple are described here, together with the two great pillars of burnished bronze that stood majestically, at its entrance. We read of the Gold Alter; the Table of the Shewbread; the Golden Lampstands; the tongs, lamps, snuffers and basins. Finally, we read that the Most Holy Place is completed - but before its dedication, the Ark of the Lord had to be brought from its resting place, in the city of David, to its new location in the Holy of Holies. It was at the Feast of Shelters - the Feast of Tabernacles, when the Ark of the Lord was carried by the priests and Levites into the Temple of God, as the Lord commanded Moses. It must have been a most glorious, yet solemn procession. Long poles passed through the carefully crafted, golden rings each side of the Ark, which was carried on the priest's shoulders. The two golden cherubim, who spreading their wings over the Mercy Seat of the sacred Ark, seemed to form a protective covering. 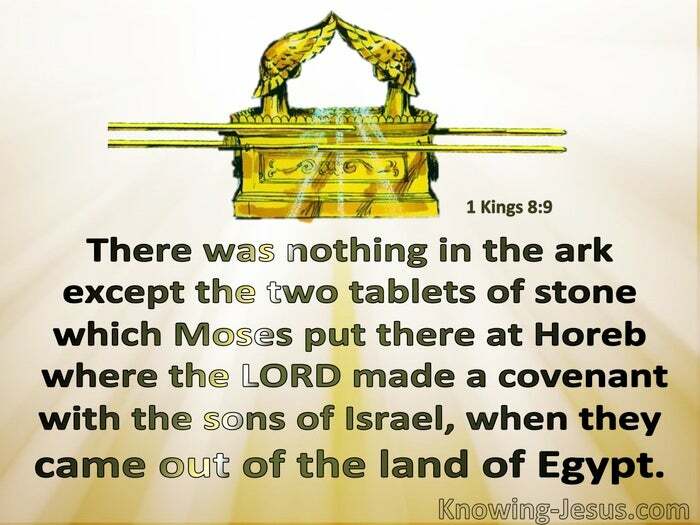 It is in verse 9 that the content of the Ark is mentioned - "There was nothing in the ark except the two tablets of stone which Moses put there at Horeb, where the LORD made a covenant with the sons of Israel, when they came out of the land of Egypt." 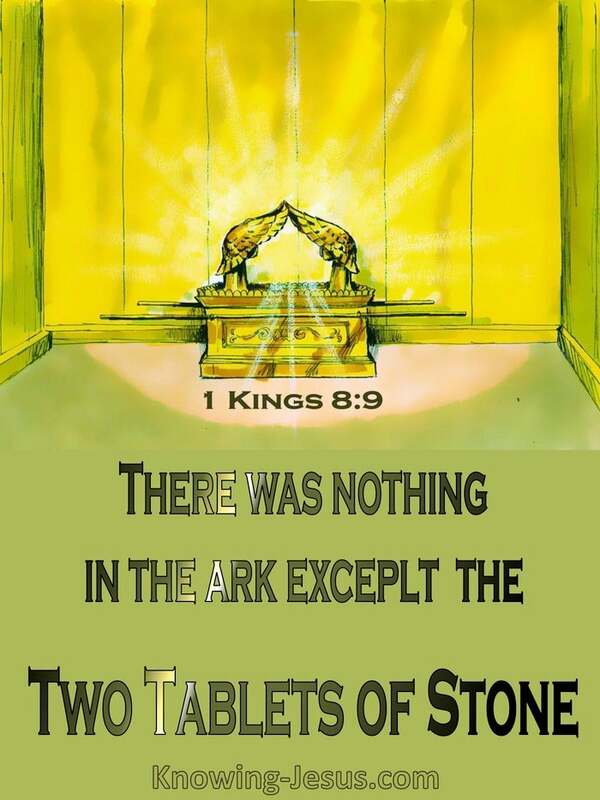 The Bible had earlier informed us that a pot of manna and Aaran's rod, which blossomed and budded, had also been placed inside the Ark, and for many years they remained as a witness and a sign to the people of Israel, that God is faithful and true. We are not informed when or why these other articles were removed, but it is likely that Israel was unaware of the glorious antitype, to which they pointed - (Jesus - the living Bread of Life. Jesus - the good Shepherd of the sheep. Jesus - the High Priest after the order of Melchizedek. Jesus - the coming Judge of those who rebel. As Israel fell into apostasy, it is likely that the pot of manna and shepherd's rod became objects of worship, which would have devalued the significance of the Mercy Seat, which covered the broken Law, and all it meant for sinful man. 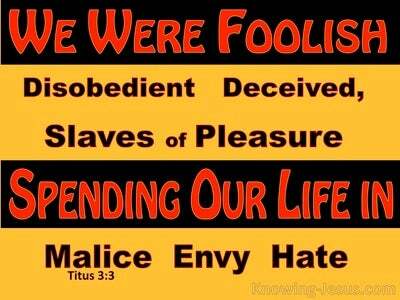 It is probable these objects diverted the people's attention away from the incredible significance of the gospel of Redemption, and became a focus of worship, causing Israel to fall into idolatry! The Covenant made by God with Israel, had been set aside and it significance forgotten, even though the Ark; the Tabernacle; the Feasts; the Sacrifices; the Temple and every Temple article pointed to the Person and Work Christ, Whose shed blood would save His people from their sins. However sacred it may be, there is nothing that should come between a believer and his God. 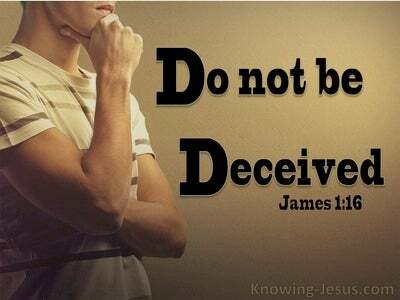 Nothing should become more important to a Christian, or be elevated to equivalent standing with Christ Jesus. When we were eternally saved by grace through faith in Christ; forgiven of our sin, declared righteous before God; positioned in Christ; indwelt by the Spirit and made one with Him - nothing and no-one should be placed alongside Him - for there is nothing to compare with Christ's sacrifice on the cross of Calvary for you and for me. If anything in our life that has been placed alongside the truth of the glorious gospel of grace, let us remove it immediately and elevate Christ to His rightful position in our heart.